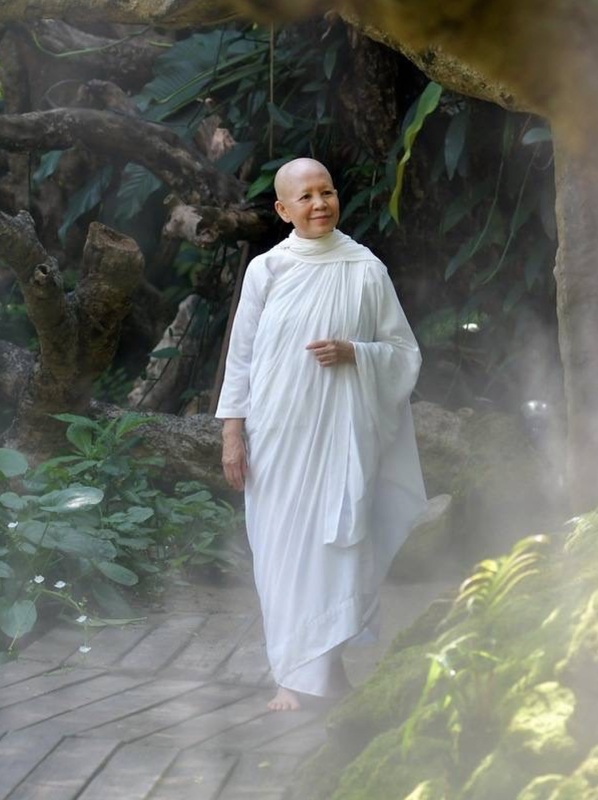 a former top Thai model, abandons material success, becomes a Buddhist nun and creates an oasis in the middle of bustling Bangkok. Open to everyone in need, it becomes a refuge and second home to young women who tell how they have been brought from the gates of hell to the gates of heaven. 14:34 mins. To make a tax deductible donation, please add your donation amount and click on the button below. You will be taken to the Women Make Movies website to complete the process. The film introduces Ven. Mae Chee Sansanee, revered as the Spiritual Leader of Thailand, through archival footage produced for TV5, France in 1997, History Channel Asia in 2009 and on location interviews. It features Sathira Dhammasathan, the center she transformed from a barren plot of land to beautiful tree-covered haven in Bangkok. The two women and young girl featured are representative of the thousands of women whose lives have been saved and transformed through the love, compassion and wisdom of Ven. Mae Chee Sansanee. Many people have contributed to bring the film to this stage of post production. All the archival film was offered gratis by The History Channel, Asia and Galaxie Press, France. Our cinematographer, George Lechaptois, and our audio engineer, Jeff Pace, both offered their services without payment. Simon Nuchtern and Susan Wolf work almost daily on the subtitles helping to refine the translations from Thai to English without any compensation. Last but not least, our editor Laura Van Schendel has worked way beyond the time we had anticipated to bring this movie to the fine cut displayed on this page. These in-kind contributions would total beyond $50,000.00. Thanks to the generosity of friends and contributors, we raised $13,000.00 in January and the film was screened in Thailand on February 22 & 23 as part of the 29th Ordination Celebration of Venerable Mae Chee Sansanee. We are still raising the final $2,000.00. To make a tax-deductible contribution, you may donate to the project via our fiscal sponsor Women Make Movies. Thank you for your consideration and participation.